With a job evaluation scheme in place a robust and manageable grading system can be introduced using sophisticated modelling to understand the short and long term impact. ije relies upon the skill of the job analyst and is supported by software. We deliver comprehensive on site ije training to all our customers. ije has six factors with accompanying guidance notes whose terminology can be adapted to suit the needs of an organisation. From Inbucon implementing the scheme, the majority of our customers then take ownership of and maintain the scheme via a licence. In other cases we act as ongoing consultancy support. 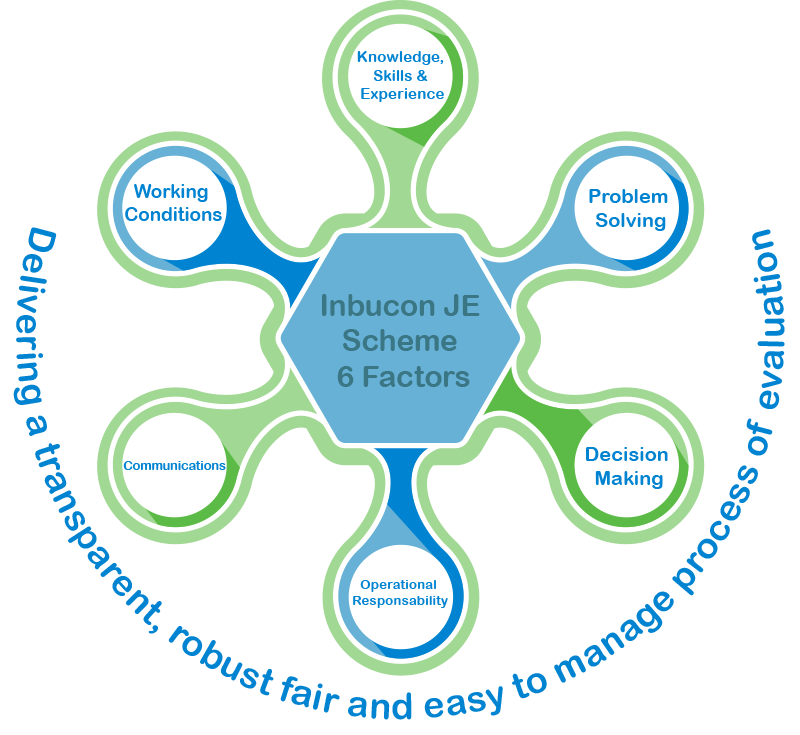 Inbucon also delivers bespoke Job Evaluation Schemes developed in partnership with individual customer requirements. This will often be part of a job evaluation projects but can be conducted for an organisation where there is already an evaluation process or hierarchical system in place, or one is being considered. Our process includes an interactive model that allows scenario planning with short and long term impacts displayed for individuals, grades, gender impact and the company. 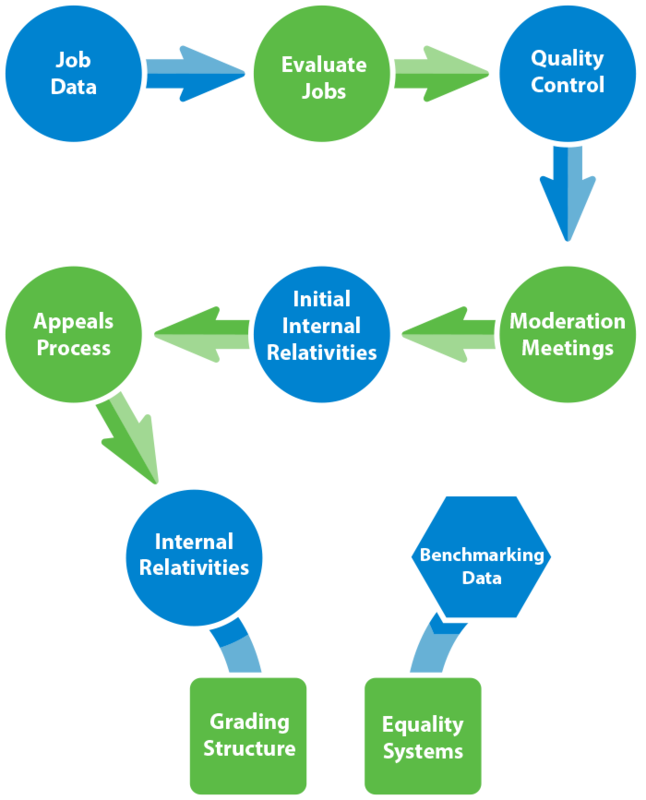 Integration of Job Evaluation with Grading Review process diagram.